Please notice that if you are using WordPress Multisite you need our special version for WordPress Multisite. Create an unlimited number of Custom Dashboard Metaboxes with the Dashboard Tool. If you have our Pages by User Role plugin you can add Access Control to each Metabox. This makes it possible to completely customize who will see each Metabox (Administrator, Editor, Author, Contributor or Subscriber). Hide Top-level Menus (Dynamic generated list that shows all the menus depending on which plugins you have installed). Hide Sub-level Menus (Dynamic generated list that shows all the menus depending on which plugins you have installed). Sort (Re-order) the Top-level Menus by easy drag and drop interface. This is not in the WLB Settings menu, but in the top right side of your wp-admin. Get access to our premium support, knowledge database and Free Downloadable Content when you enter a valid License Key. We do not recommend you to change the Capabilities of the Administrator user role. Doing so can cause you to loose access to features on your website. If you accidentally do we have a script that can restore the Capabilities for the Administrator user role. 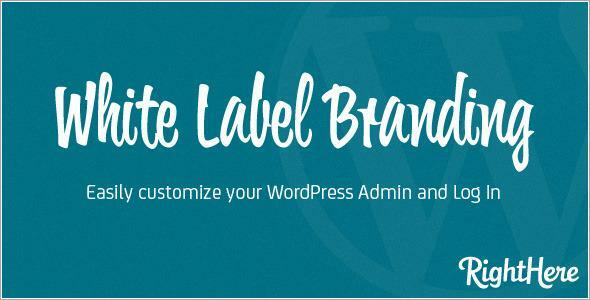 Share the post "White Label Branding for WordPress"